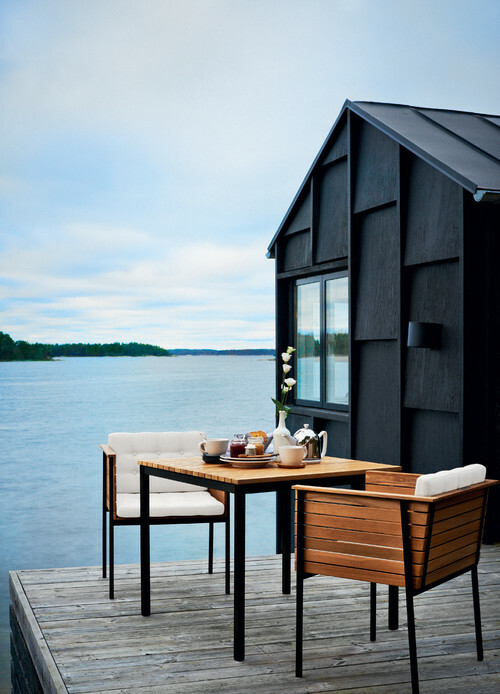 There's nothing quite like being beside the water when the Swedish summer arrives. 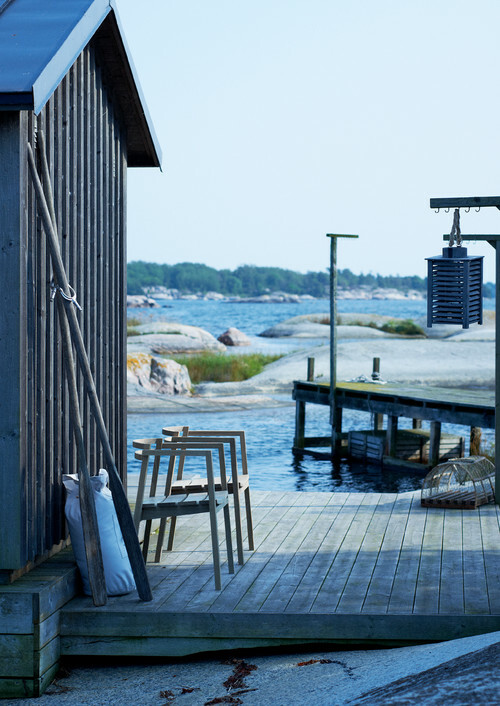 With that in mind, Houzz.se's Amanda Strömberg picks out eight of her favourite places by the sea. We all want to be near the water when the summer arrives. In an effort to provide some inspiration, we've gone though our extensive archives and found eight stunning seaside spots where we wouldn't mind spending every day in the sun. Check out our selection of beautiful places that invite long coffee breaks and spontaneous dips below. 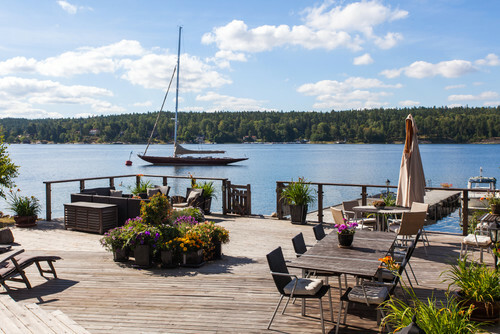 On this large deck in Stockholm with its own pier there's room for anything you feel like, be that big parties, a cozy coffee break, or spontaneous swims. 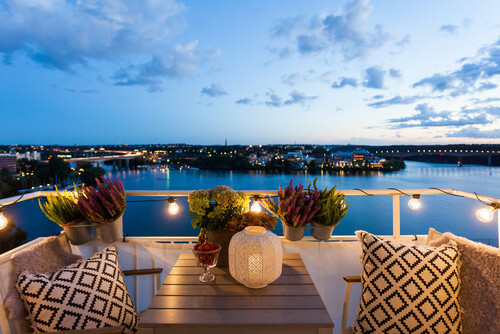 Imagine what a joy it would be to have access to this view of Stockholm every day. Ideal both for that morning coffee, and relaxing evening drink. 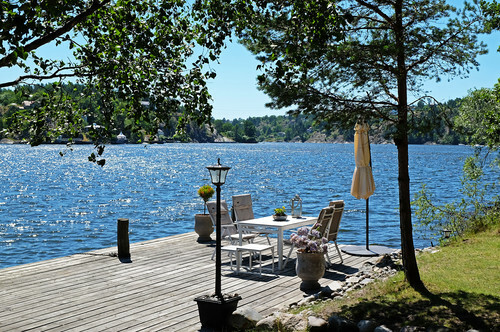 Owning this place in the Stockholm archipelago as a summer house would be a dream come true. 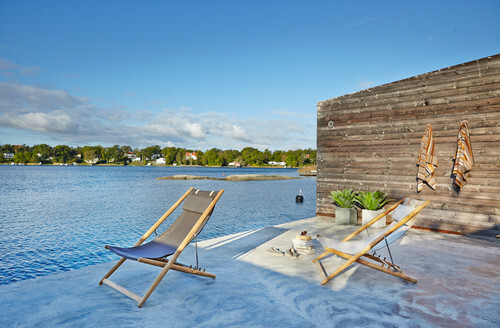 Imagine sitting outside and enjoying the sun, before going for a refreshing swim, directly from the pier. Those who love the sun will love this space more than most. Imagine sitting here in a lounge chair while enjoying your favourite book. Not bad, is it? If you feel like going on a day trip during the summer, try and find somewhere like this, with its own little rowboat available by the pier. 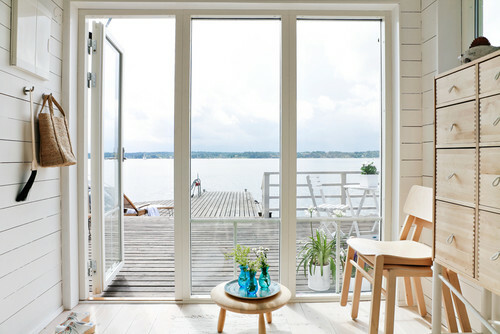 You can never go wrong with a holiday house by the water, where the ocean views can be enjoyed in good and bad weather, indoors and outdoors. 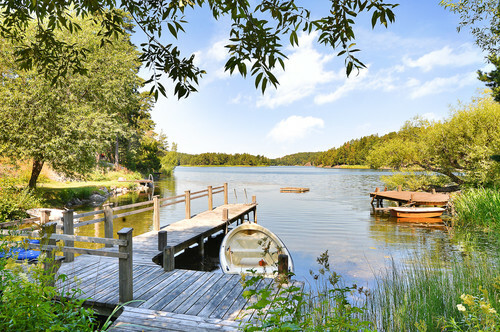 This spot on Danmarks Holme in the Stockholm archipelago is completely surrounded by glittering water. Perfect for those who like a quiet morning swim, or for kids who enjoy more lively water activities. Live here during the summer months and you would probably end up taking one, two or even three swims a day. What a view.